I want to use a particular music track in a Story, but I want to use only the middle portion of it. How can I do that? 1. While the Story is playing, select the Audio icon in the lower right, and then the pencil icon above the track list. 2. 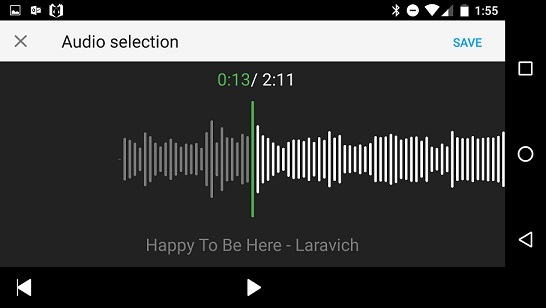 Tap and drag the audio wave form to the left, until the green line indicates where you want the audio to start. 3. 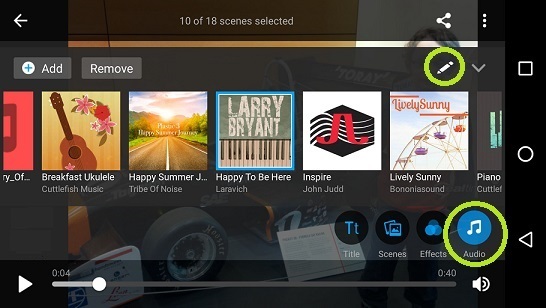 Click Save to set the new start time and close the Audio Selection editor.